Suzhou, China, July 27, 2017 – The inauguration of the latest battery plant in Suzhou with four industrial-scale production lines for electrode slurries from Bühler represents a major achievement for Lishen and Bühler. This latest generation of batteries is based on Bühler’s unique mixing technology. The new cell design offers a breakthrough in energy density and is expected to increase the range of the vehicles by one-third. The e-mobility business is experiencing a boom worldwide with a positive impact on reducing CO2 emissions and improving air quality. By 2020, studies expect five million electrically powered vehicles, in China alone. In order to keep up with this demand, battery production is increasing rapidly worldwide and especially in China. 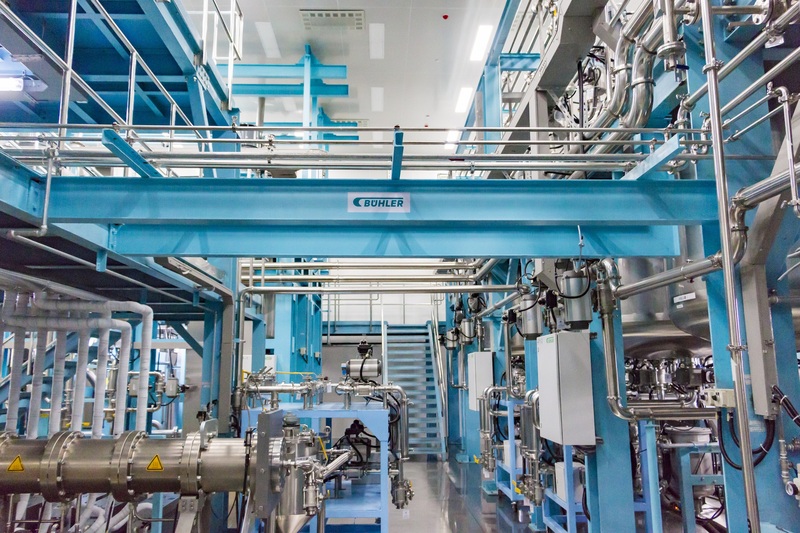 Bühler is partnering with Lishen, delivering a unique mixing process for electrode slurries with a decisive impact on the quality and performance of the final batteries. 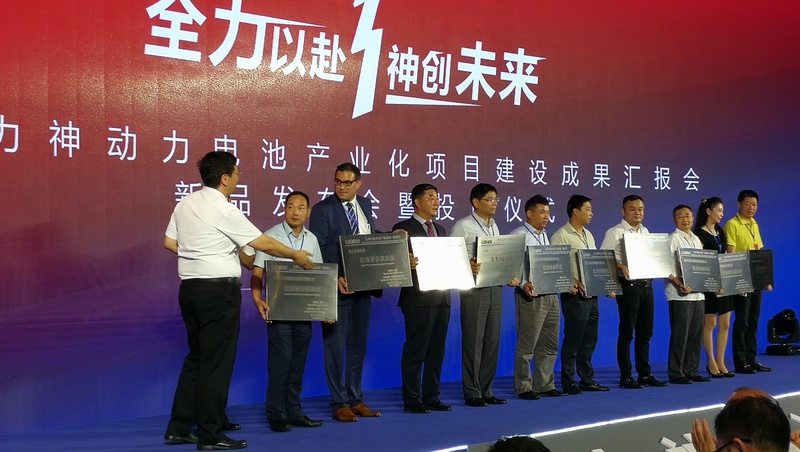 The long-standing cooperation between Bühler and Lishen, one of the largest battery producers in China with over 10,000 employees, goes back to 2010. Now it has reached a key milestone: Lishen’s new battery plant with four industrial-scale production lines for battery slurry from Bühler was officially opened at the end of July. The new plan in Suzhou has a current capacity of 4 gigawatt-hours, which will be expanded to 15 gigawatt-hours in the very near future, sufficient for 300,000 car batteries. 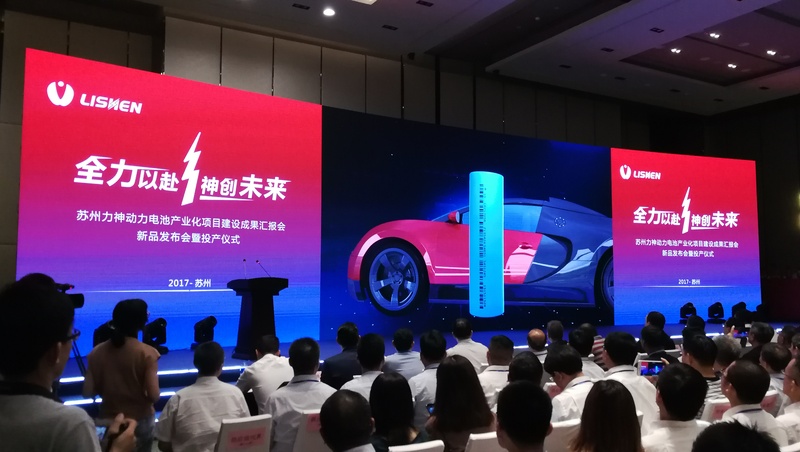 According to Lishen, the cell type 21700 for the latest generation of electrical vehicles produced at the new plant in Suzhou has decisive advantages over the conventional cell type: lighter packaging, higher energy density as well as easy production at lower cost. Overall, the new generation of cells is expected to increase the range of the electrically powered vehicles by one-third. “This new generation of batteries offers breakthrough energy densities and will create a new standard in the market,” says Mr. Sun, General Manager at Lishen. Bühler’s continuous mixing process is unique in the industry. It allows raw material dosing, premixing, kneading, fine dispersing, and degassing in a single device. The technology has a decisive impact on the quality and performance of this latest generation of batteries with clear advantages compared to the traditional badge processing method. Market studies confirm the continued high market growth in battery production. By 2025, one-quarter of all new vehicles registered are expected to be fully or partially electrically powered. 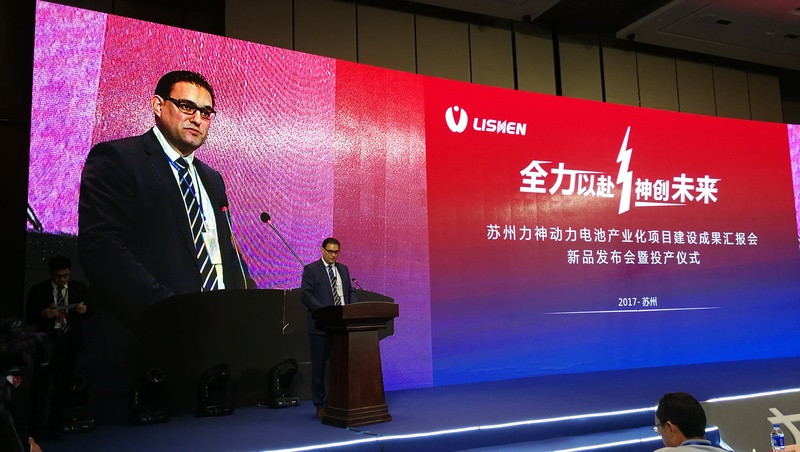 Lishen alone will open two new battery factories in the next few months and will extend existing ones over the next years. Their combined annual capacity will amount to 40 gigawatt-hours – which is larger than the Tesla “giga factory” in the US and sufficient to power 800,000 electrical vehicles. The rapid growth in e-mobility will further drive demand for high-performance batteries and create business opportunities for Bühler. “With our innovative power and new technologies, we are confident to benefit greatly from this market development,” says Samuel Schär.